I hadn’t heard of Leon Schiffer as far as I can remember, but will surely pay attention to his work from now on. 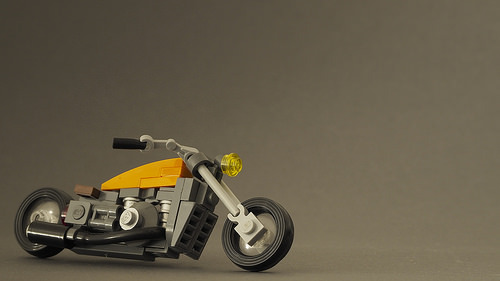 The builder does not provide any information on himself or his models, but the two motorbikes he has created so far are just perfect! There is a lot of nice part usage like the old tire pieces and cut tubes. The colour choices are great, with nice splashes of vivid colours and just enough metallic detailing to look realistic (although if it was more readily available, chrome would be a better choice). 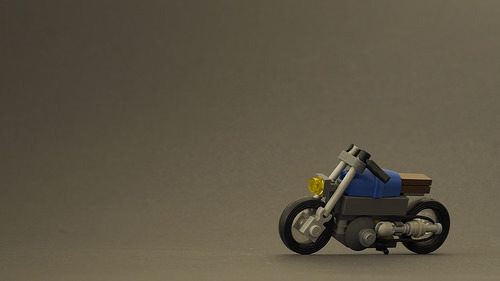 Years ago I too made some bikes, and looking at Leon’s builds now, I’m feeling the itch to build again.